When adding modules to a case you are creating a instrument. An instrument that you will spend time with mastering your art. The case you choose plays a huge role in how you approach, engage and interact with your instrument. It is a combination of aesthetics, function and ergonomics that can determine the playability of your instrument. The Encore line has taken these important details into consideration when designing enclosures for the euro modular format. The fact is… You want an instrument, not just a box. 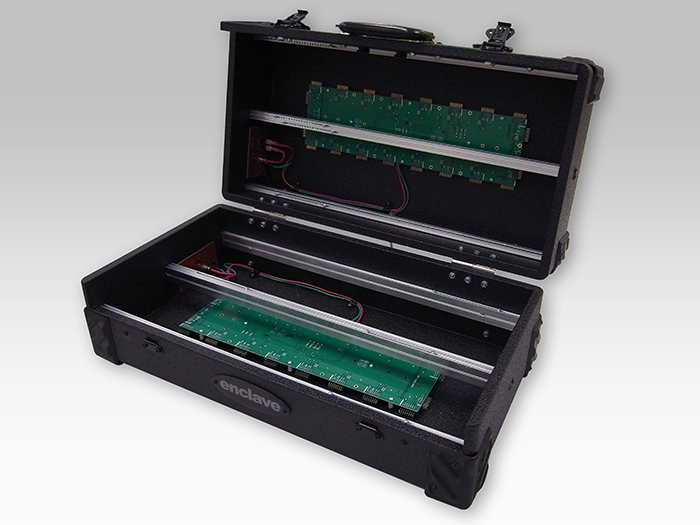 Enclave Eurorack Cases are the highest quality build and design aesthetics for a wide range of budgets. Whether you are just starting out with your first 3U for your performance modules or need the most durable Flight case for that next gig -- or if you are simply ready to expand your modular or are in need of a studio solution to house your modulars with a touch of class -- the series has you covered. Our cases are available direct from us.